I am a certified dental assistant and have been a part of Dental Touch Associates since 2006. I earned my degree at Kirkwood Community College and graduated in 2006. 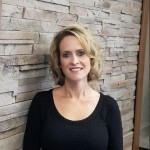 Over the years, I have thoroughly enjoyed getting to know our patients on a personal level and helping to give them an awesome dental experience every time they are in our office. 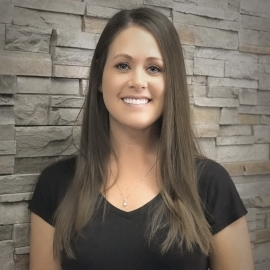 What I love so much about working at Dental Touch is that the practice is completely geared toward patient comfort, and all of the technology and education the team has earned to keep that as a primary focus. Patients are like family, and so is the entire Dental Touch team! I have been married to my husband Eric (yes, everyone jokes at the similarity in our names) since 2009. Together we have two girls – Chloe and Braylee – that keep us very busy with their activities. I love being a mom, and when I am not busy with kids’ activities, I enjoy shopping, running, talking, and spending time with family.